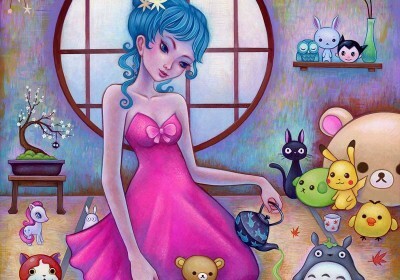 On June 10th, a new solo show from Jeremiah Ketner (interviewed) entitled Nihon Dreams will be opening at Rotofugi in Chicago. 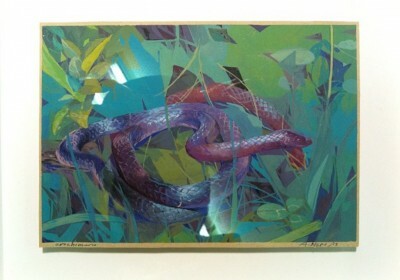 The American artist will be returning to the city he called home before moving to Japan, bringing with him whimsical paintings featuring his female and animal characters. No doubt influenced by his interest in Japanese culture as well as his work with customizing toys, the work will be especially appreciated by the clientele that frequent the designer toy store and gallery. 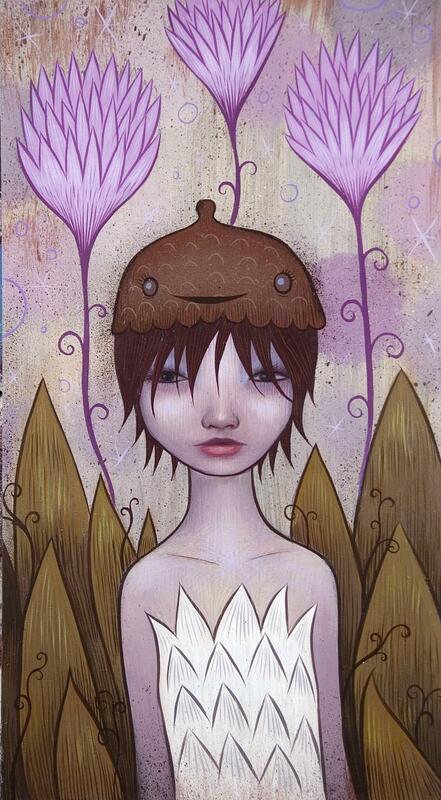 Discuss Jeremiah Ketner here. 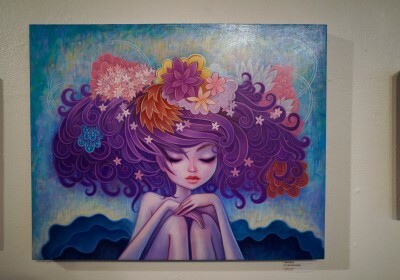 Last month, myplasticheart in New York hosted a solo show from Jeremiah Ketner (interviewed) entitled Ideal World. The new body of work featured the feel good imagery typically seen from the Chicago-based artist painted in bright colors. 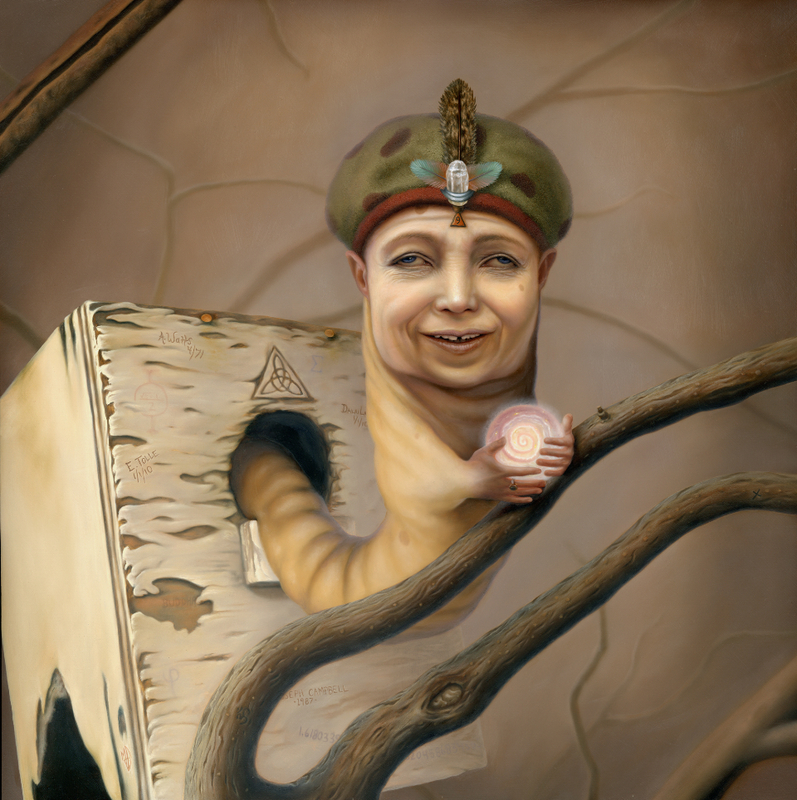 Ketner’s female and fairy-like characters frolic and play in a tranquil natural world full of flowers, vines, and gardens – certainly one artist’s interpretation of utopia. 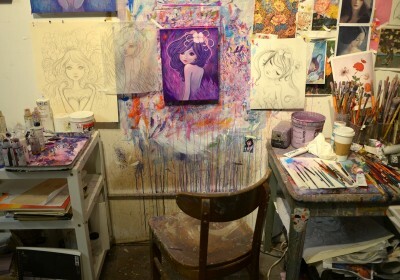 Discuss Jeremiah Ketner here. Discuss this show here. The “WE HEART WOOD” customs show opens tonight, April 8th, at Munky King in Melrose with dynamic duo Noferin inviting 30 of their artists friends to customize their latest blind box mini wood toys – Jibibuts. 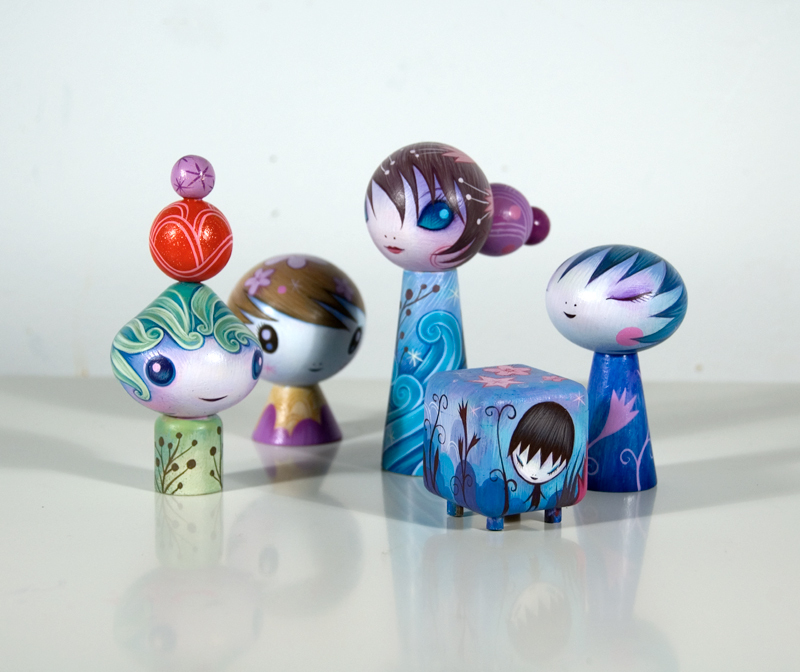 Not all artists have what it takes to paint on 3D surfaces, but masters of the art like Jeremiah Ketner, Doktor A, Dan May, Yoskay Yamamoto, and Stella Im Hultberg make it look easy with an awesome collection little works of art. More preview images after the jump. 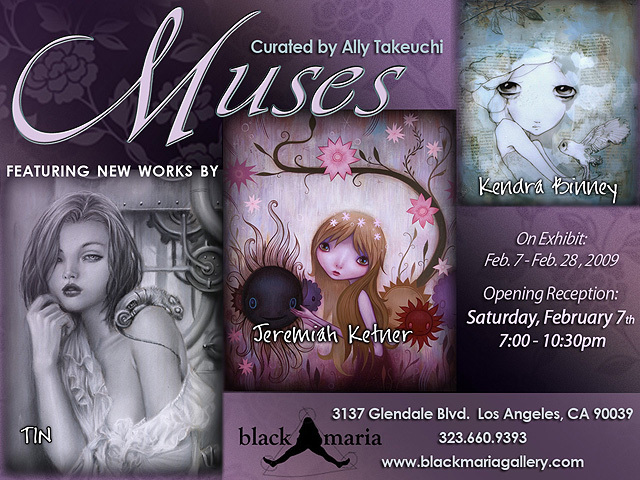 Black Maria’s “Muses” (previewed) group show opened February 7th and AM popped by to check it out. 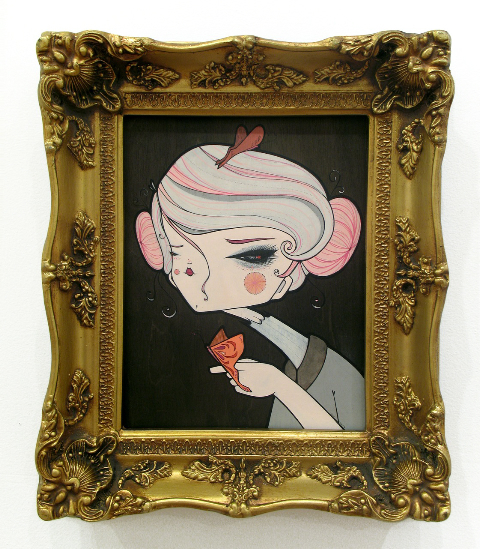 Muses features new work by Tin (above), Kendra Binney, and Jeremiah Ketner. 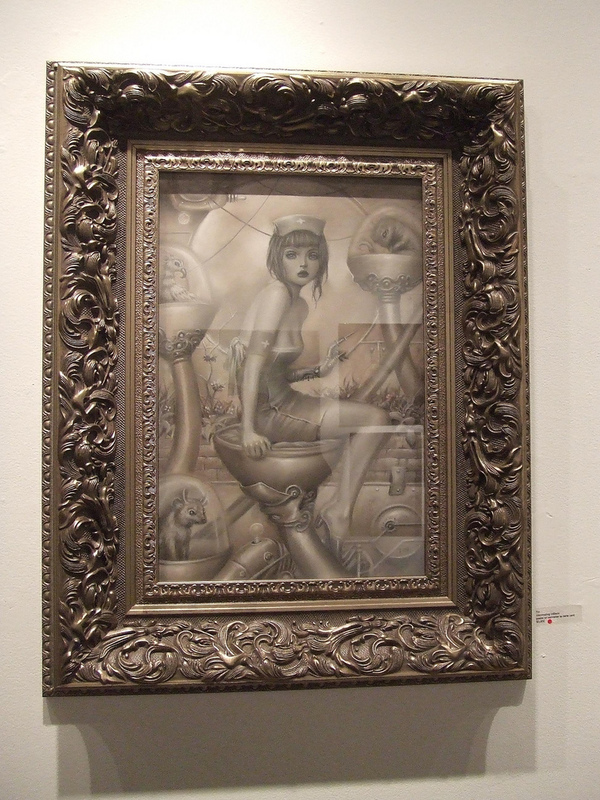 If you are local but missed the opening, you can still drop by Black Maria to view the work until February 28th. Check out photos of the opening after the jump! “Muses,” a group show at Black Maria Gallery is set to open on February 7th with some promising emerging artists – Tin (interviewed), Jeremiah Ketner (interviewed), and Kendra Binney. Ally, the curator, was nice enough to send over some preview images to share with our readers. Take a look after the jump.